South Korean hypermarket chain operator Homeplus said Thursday it has scrapped its plans to list its REIT on the nation’s main bourse, dissolving all anticipations surrounding what was expected to be the nation’s first real estate investment with an initial public offering worth more than 1 trillion won. “We have decided to cancel our plans to go public, considering that a recent survey pointed to difficult circumstances to properly assess our market value,” the firm said in a statement. The firm had initially planned to raise up to 1.7 trillion won ($1.5 billion) with the offer price range of shares between 4,530 won and 5,000 won. But as Thursday’s statement indicates, overseas investors have not shown much interest. Homeplus REIT was scheduled to go public on the Kospi on March 29. The REIT has underlying assets of 51 out of its 141 stores across the country. The decision is expected to throw cold water on anticipations surrounding rejuvenation of the nation’s IPO market, after its size sank to a five-year low in 2018. If the IPO had fructified, Homeplus REIT could have been the largest corporate listing since the market debut of top mobile game developer Netmarble in 2017. 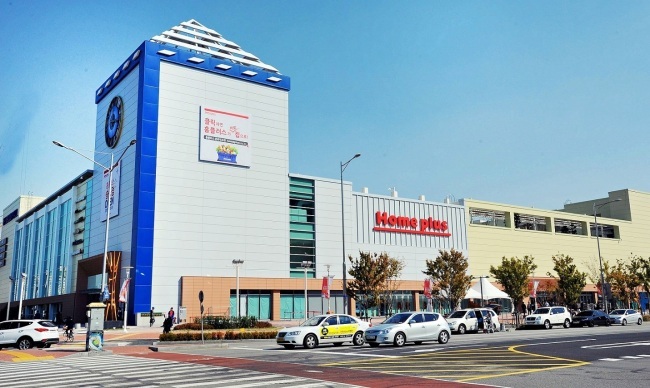 Korean private equity firm MBK Partners bought Homeplus from UK-based Tesco in 2015.